Our best SOLID WOOD Furniture. 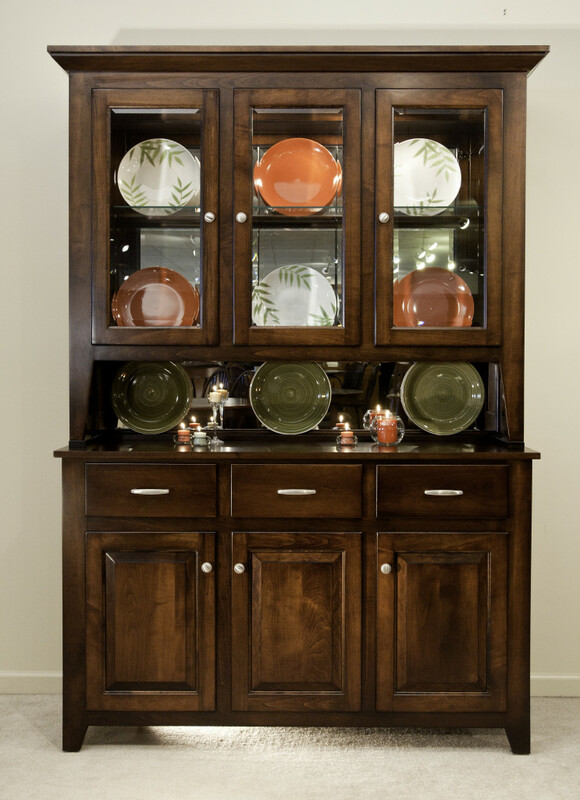 The Amish Harvest features engraving, mirrored & touch-light interior, and raised panel sides. Glide tracks for all drawers are standard. Catalyzed finish for an exceptional lifetime durability, and a plethora of style, finish, size, and wood specie options(oak, maple, cherry, tiger oak). MADE IN USA! Buffet & Hutch: 82″h * 58″w * 17.5″d. Amish harvest buffet with hutch Amish Furniture Michigan, Available in 2 door, 3 door or 4 door sizes. Catalyzed finish for an exceptional lifetime durability, and a variety of style, hardware, finish colors, two tone options available, custom sizes, custom shapes, custom edge detail, and wood specie options in solid (oak, maple, cherry, rustic cherry, tiger oak (quarter sawn white oak), rustic tiger oak, tiger maple, walnut, grey elm, hickory, hard maple). All buffets include full extension ball bearing drawer glides, and drawers feature English dove tail drawer boxes and are finished inside.